THE PSYCHO LEGACY: If The Walls Of The Bates Motel Could Talk… – Schlockmania! As any student of horror knows, Psycho cast a mighty shadow over the development of post-1960 cinematic horror. It’s arguably ground zero for the slasher and serial-killer subgenres as we know them today and boasts a level of craftsmanship that allows it to remain potent five decades after the fact. As such, it has been analyzed six ways from Sunday in print and on video. The sequels, however, are a different story. These late bloomers arrived in the 1980’s, over two decades after the original film, and don’t seem into inspire the same kind of fan fervor that the Friday The 13th or Nightmare On Elm Street franchises inspire. That said, the faithful know that the Psycho sequel trilogy is special amongst horror series because they each offer distinctive takes on their main attraction, summoning up levels of style and ambition that other franchises rarely display. The results form a unique dramatic arc that hovers somewhere between Greek tragedy and black comedy and Anthony Perkin’s consistently magnificent performances as Norman Bates give them a strong through-line. Thus, it is nice to see that the Psycho series has finally received a loving tribute in the form of The Psycho Legacy. This feature-length documentary covers the history of the series in just under 90 minutes and is primarily composed of talking-head footage, with a hefty sprinkling of clips and well-chosen stills to give the proceedings some visual variety. The visual style is simple, with the interviews shot in a t.v.-ratio style that reflects its humble origins (it was a labor of love shot over 3 years around day-jobs). That said, sharp editing by Jon Maus adds verve to the proceedings, as does a clever musical score from Jermaine Stegall that cheekily clones its sound-alike main theme from Bernard Hermann’s Psycho score. The film begins with a first act that gives the viewer a thumbnail history of Psycho as a film, focusing on mainly how unorthodox it was for the time and how its rule-breaking left a mark on audiences everywhere. 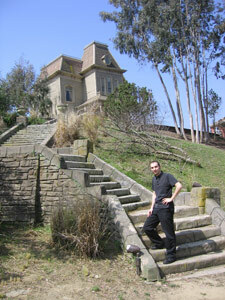 From there, it devotes equal chunks of screen time to each of the sequels, exploring how each film tried to honor its source material while differentiating itself via a fresh approach to the character of Norman Bates (for example, Psycho II is the movie that “exonerates” Norman and also makes him the person that things happen to instead of an antagonist). At this point, it should be noted that director Robert Galluzzo went into this documentary with some serious disadvantages: namely, several key people involved with the movies have passed on. Not only is Alfred Hitchcock no longer with us but we’re also missing Janet Leigh, Psycho II director Richard Franklin and, most importantly of all, Tony Perkins (the performance link that connects the series and the director of Psycho III). Thus, if The Psycho Legacy doesn’t quite shape up as the ultimate, all-inclusive “final word” on the series, it’s not due to a lack of effort on Galluzzo’s part… it’s simply because these factors make it impossible to do one. That said, The Psycho Legacy remains an engaging and informative effort. A wide swath of participants from the films – writers Tom Holland and Charles Edward Pogue, director Mick Garris, actors like Diana Scarwid, Jeff Fahey, Olivia Hussey, Robert Loggia, etc. are all on hand to offer their recollections of working on the series. A few survivors are missing in action (most notably Meg Tilly) but the assembled group has plenty of worthwhile info to share. They are all forthcoming yet affectionate and Galluzzo weaves their memories together into a solid, fast-paced oral history of the series. Galluzzo also makes up for the loss of key figures by bolstering the ranks of participants with genre critics (both Michael Gingold and Tony Timpone from Fangoria pop up) as well as writer David Schow and filmmakers as diverse as Stuart Gordon and Adam Green. The knowledge and perceptions of horror genre professionals adds a second layer of retrospective insight to the series. Schow in particular has very interesting things to say about the series on a thematic level and filmmaker Rolfe Kanefsky also score some memorable bits (a likeable moment involves him waxing lyrical about the wonders of Jerry Goldsmith’s Psycho II score). Even better, The Psycho Legacy also works as an effective tribute to Anthony Perkins’ crucial contributions to the series. His work on the sequels coincided with a decision to reclaim his legacy as a horror icon and the participants pay tribute to the skill and humanity he brought to the role. The stories presented here reveal that he had the occasional prickly moment – tension with Tilly on the set of Psycho II, “testing” tyro director Garris on Part 4 – but everyone here pays tribute to his devotion to the work as well as his generosity as an actor and director. For a horror documentary, it turns out to be unexpectedly touching. 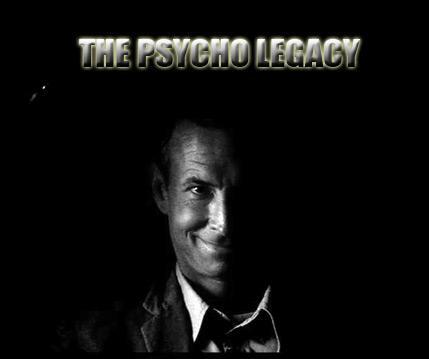 In short, The Psycho Legacy is a likeable tribute to an unsung series, not to mention Perkins himself. Fans of classic horror are likely to find it a pleasurable way to spend 90 minutes – and if you’re looking to find out more about the Psycho films, it’s a nice place to start. Great write up! Sounds like a fascinating documentary.